NEWS from Penang of more illegal felling of the aquilaria trees which produce agarwood (gaharu in Malay) confirms the ongoing theft of this valuable species. What is disturbing are the reports that the poachers are foreigners from neighbouring countries to the north. 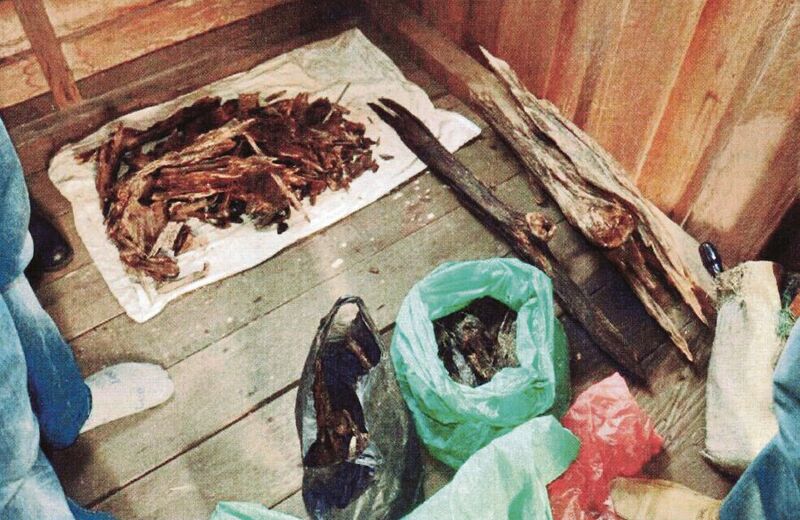 Reportedly, agarwood cartels have been harvesting and smuggling trees from our jungles since the late 1980s. How could such blatant poaching of our natural resource be allowed to happen under our very noses? If the problem goes beyond the purview of one ministry (as is strongly suggested here), then an inter-agency task force should be established to root out the menace once and for all. In other words, many poachers, who are often armed, can enter forests with little fear of getting caught. Poachers, he said, “could not care less” about the prospects of endangered species. If the poaching continues, one of the most sought-after agarwood species in the world — aquilaria malaccensis — could go extinct. The use of agarwood, which forms in the heartwood of aquilaria trees when they become infected with a type of mould, can be traced to ancient times when it was traded from India. It was one of the most popular substances in China over 1,000 years ago. The precious resin used for incense and perfume was valued by many cultures. Almost 3,500 years ago, the agarwood fragrance was described in Sanskrit texts, and about 2,100 years ago several medical applications were detailed. Agarwood cultivation about 2,300 years ago was taken up by the Chinese, who learned that cutting into a tree would cause the precious resin to develop within a year. Oud (or “liquid gold”) refers to both the resin-saturated agarwood as well as the oil distilled from it. One reason oud is so expensive (as much as RM120,000 per kg, depending on its purity) is its rarity; by some estimates, fewer than two per cent of wild trees produce it. Experts claim that the very best oud comes from the oldest trees, which are even scarcer. In the Middle East, where oud is most common, it is considered a cultural touchstone and highly prestigious. These days one has only to walk the streets of London or Paris to see fashionable stores selling dedicated oud perfumes and related products. Beyond halting the blatant poaching of this natural resource, we need to consider the opportunity available to us to expand our economic thinking, as Prime Minister Tun Dr Mahathir Mohamad has been urging Malaysians to do. The minister of primary industries, Teresa Kok, has been suggesting that oil palm smallholders look to bamboo, pineapple and coconut to supplement their income. Perhaps greater support for fledgling efforts to establish agarwood plantations should be added to that list. Although the price of plantation-grown agarwood is nowhere near its wild sibling, it’s still promising. This is where serious research and development by the likes of the Malaysian Agricultural Research and Development Institute, Forest Research Institute Malaysia and local universities could eventually yield superior trees or clones and high-quality resin that could fetch a good price in the global market. The Malaysian Biotechnology Corporation could also explore the prospect of collaborating with the established production houses of oud in the Middle East or Europe and get involved in more value-added activities. It is time to stop being content to be producers of primary commodities and transform ourselves into a major industry player. After all, the agarwood’s original home is our rich tropical rainforest.